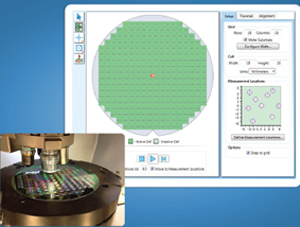 Designed for demanding R&D, quality assurance and process quality control measurements, this flagship of the Bruker ContourGT product line is the ultimate gage-capable 3D optical microscopy solution. 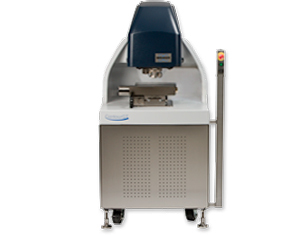 The system incorporates Bruker’s patented tip/tilt head, patented self-calibrating laser reference, integrated pattern recognition and a number of other proprietary interferometry innovations. No other metrology system can provide the non-contact accuracy, throughput and operator convenience for such a wide range of production metrology and imaging applications. Bruker’s exclusive interferometry technology provides unmatched measurement and imaging capabilities. The ContourGT-X is also equipped with a proprietary internal laser reference and a custom-designed industrial cabinet for maximum stability and robustness. The automation-ready configuration includes everything required for rapid optimisation for almost any production environment, from an air table stabiliser kit for enhanced X, Y, Z wafer placement accuracy, to optimisation of PDU, EMO and vacuum systems for integration and modified vacuum chucks for autoloader end-effector compatibility.